The U.S.-led coalition of war criminals is using elements of Syria’s Kurdish population to achieve its goal of destroying the non-belligerent, democratic country of Syria, led by its popular, democratically-elected President Bashar al-Assad. Washington seeks to create sectarianism and ethnic divides in a country that, prior to the Western-launched war, had neither. Kurdish history in the 20th century is marked by a rising sense of Kurdish nationhood focused on the goal of establishing an independent Kurdistan in accordance with the Treaty of Sèvres of 1920. Countries like Armenia, Iraq, and Syria were able to achieve statehood, but the prospective Kurdistan was in the way of the newly founded state of Turkey, established by Mustafa Kemal Ataturk. The state of Kurdistan has simply never existed. 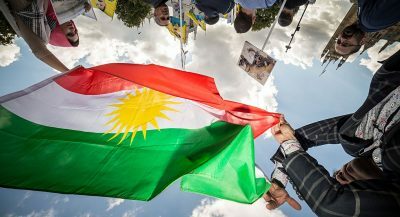 The only areas in the Middle East where the Kurds were able to establish some semblance of legal autonomy are the Kurdish Regional Government (KRG) in Iraq – where minorities are well-protected under new laws– and Israel. As a result of the disparity between areas of Kurdish settlement and the political and administrative boundaries of the region, a general agreement among Kurds could not be reached regarding borders. However, the Treaty of Sèvres was not implemented and was superseded by the Treaty of Lausanne. The current Iraq-Turkey border was agreed upon in July 1926. While Article 63 of the Treaty of Sevres explicitly granted full safeguards and protections to the Assyro-Chaldean minority, this reference was dropped in the Treaty of Lausanne. Some Kurds, particularly those who have migrated to urban centers, such as Istanbul, Damascus, and Tehran, have integrated and assimilated, while many who remain in their ancestral lands maintain a strong sense of a distinctly Kurdish identity. A Kurdish diaspora of an estimated two million people is concentrated primarily in Europe, with over a million in Germany alone. These migratory wanderers never possessed their own country at any point in their history but were always part of a larger country or empire that took them in and provided them refuge. The Kurds claim to have been conquered and occupied throughout their history, for instance.